Dead Boys! 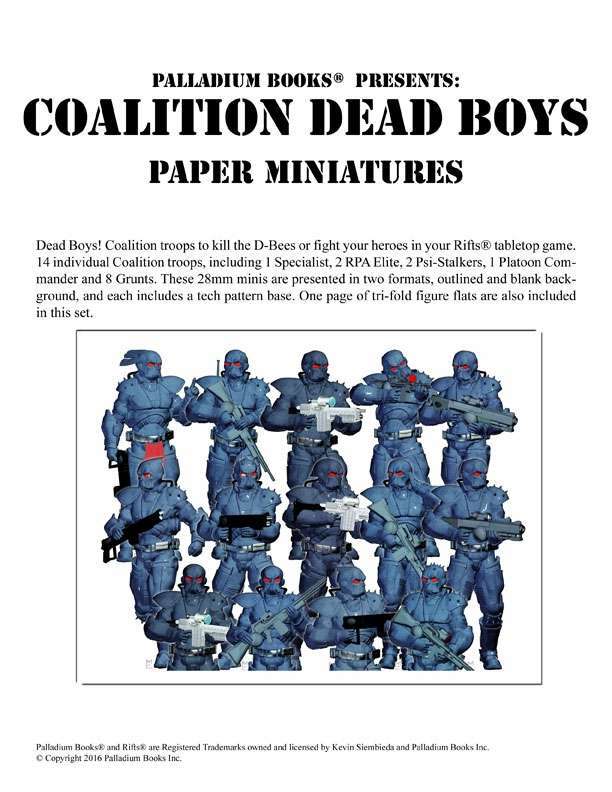 Coalition troops to kill the D-Bees or fight your heroes in your Rifts® tabletop game. 14 individual Coalition troops, including 1 Specialist, 2 RPA Elite, 2 Psi-Stalkers, 1 Platoon Commander and 8 Grunts. These 28mm minis are presented in two formats, outlined and blank background, and each includes a tech pattern base. One page of tri-fold figure flats are also included in this set.